This is a situation which will piss any Android user off. The Google Play as of now has at least 10 Fake BBM Apps floating around and only after downloads do the users find out it is a fake. 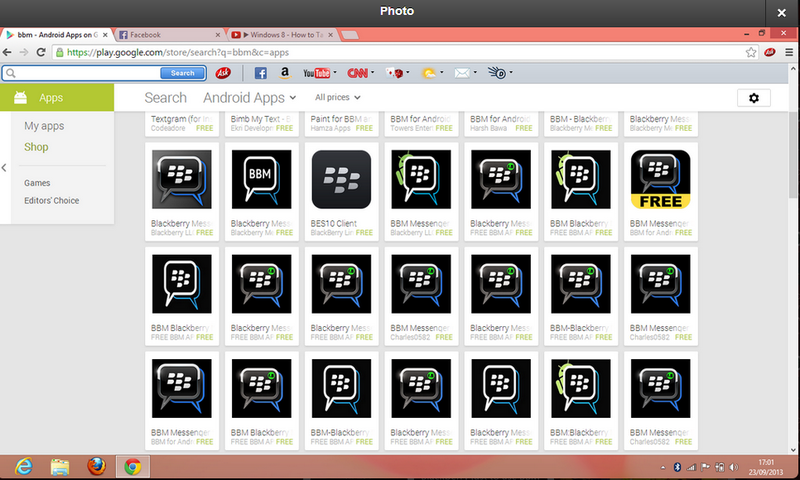 One such fake BBM publisher is Free BBM Apps Home. Another one is BlackBerry LLC. These publishers are fooling around with people and Google Play is letting them do it. Many fakes when opened download games and give ads. There might even be a malicious code installed in the Apps. Original BBM has been delayed and both links posted by me are giving no results. 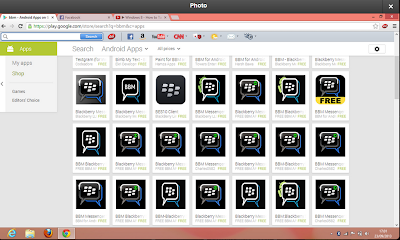 BlackBerry has tweeted that there are problems which arose because of active downloads overload.